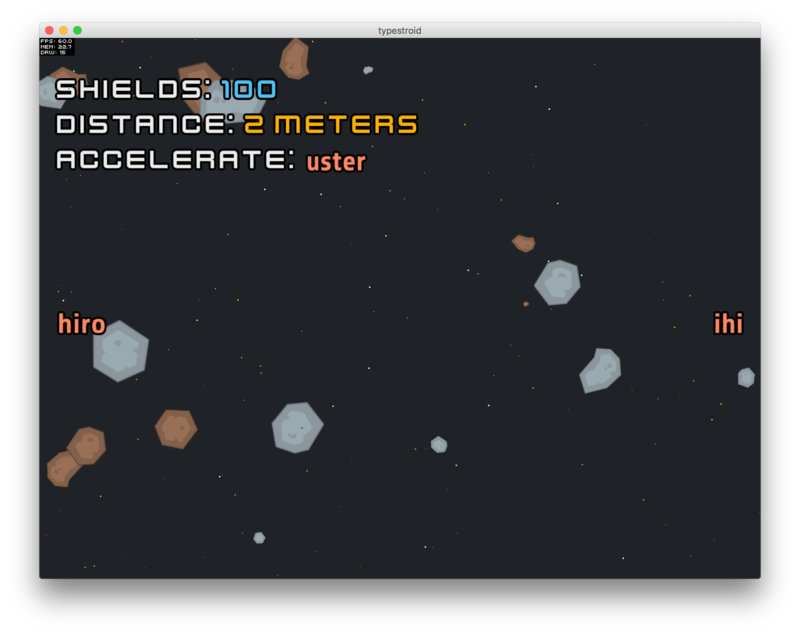 TYPESTROID is my latest project - an asteroid-avoiding game where you type words in order to avoid the asteroids. You can check it out at https://lukehut.itch.io/typestroid. When I first got the idea to build a typing game, I did some research on typing games to try and see what was out there - overwhelmingly, the landscape seemed to be "type the word on the object to destroy it". 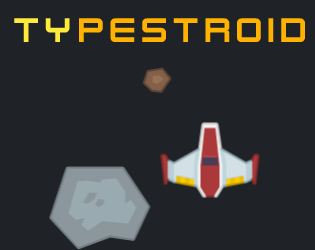 I wanted to build a typing game that played a little differently, so instead I made TYPESTROID - where you type a word to move your ship, but can't actually interact with the objects coming at you (other than avoiding them). This project was the time to apply what I learned working on sound for Vinny's; I hired Liam Sauvé to do the music and sound work for me. This was fantastic - Liam did what he's best at, and I got to focus on other parts of the game instead of spending a day making terrible sounds (and as a bonus, I got to remove a bunch of dread from the project). Honestly, not much! This was a pretty low-risk project, and I de-risked it even more by using an existing asset pack and hiring someone for sound. I always feel like projects can wrap up faster, but other than that this one was pretty smooth sailing. I set out to build a typing game, and while I was building a typing game I also realized that building typing games is pretty easy (but that doesn't mean not satisfying). This project was pretty well within my comfort zone, which gave me some good opportunities to experiment with other areas, which I can apply to new projects going forward (for example - this project has the clearest on-screen text out of anything I've built in Flash, using techniques I plan to bring to all new work). That's a wrap! On to the next one.